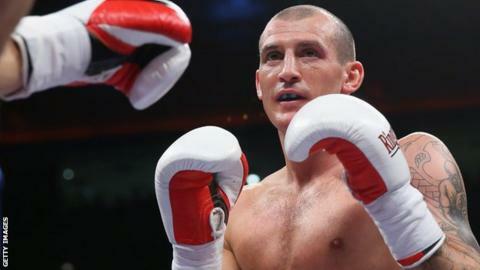 Derry Mathews' camp are in talks with the WBA and Richar Abril's representatives after the Cuban pulled out of a defence against Mathews, 31. The fight was set to take place on 18 April but Abril, 32, has withdrawn, reportedly with illness. It is the second time the World Lightweight Champion has called off a defence against Liverpool's Mathews. A statement from promoter Frank Warren said: "We are in discussions as to the current position of the world title." He added: "We expect to hear back shortly from the WBA." Warren's team say they still expect Mathews, who is the WBA Continental Lightweight Champion, to contest a version of the WBA World Championship on 18 April in his home city of Liverpool.